Chocolate is great at any time, but it can be inspirational, and that is certainly the case with a Swedish couple who’s passion and energy are setting a new standard for the American Dream. They don’t just hand-make chocolate with unique flavours and textures, they have a gift, and they fought for their spot. They call themselves Fika, the Swedish name for a break, a moment to relax and enjoy a coffee and a treat. 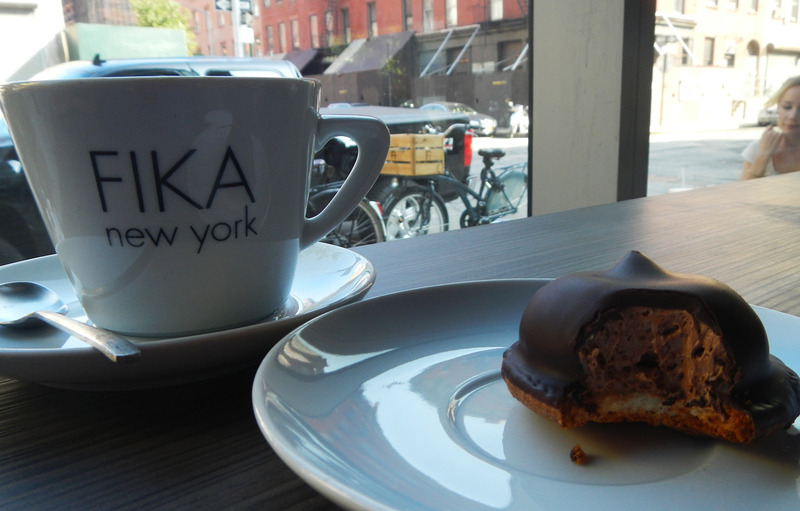 At FIKA New York this concept has been taken to a whole new level. At the flagship in Tribeca, a 250 kilo marble slab centers a room full of delicious smells and sights. 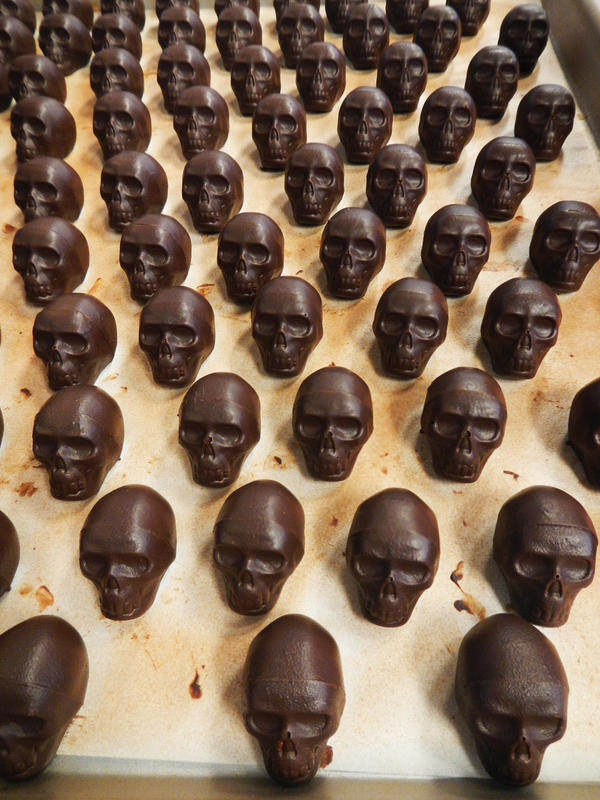 Chocolate skulls line the shelves in anticipation of Halloween. An outrageously lush hazelnut chocolate spread only needs a spoon which our host generously supplies. Jars of citrus and whiskey are not jams because they will not be made to adhere to US sugar quantities. Neither will the blueberry and rosemary – fortunately. Very soon this confection heaven will become a tasting and teaching space and it deserves to be packed. Last year when Sandy hit the East coast, Hakan and his crew were preparing for an international food expo where their gourmet confectionary was expected to be a huge success. Dean and Deluca, the prime foodie destination in NYC already carried their products along with other exclusive outlets. 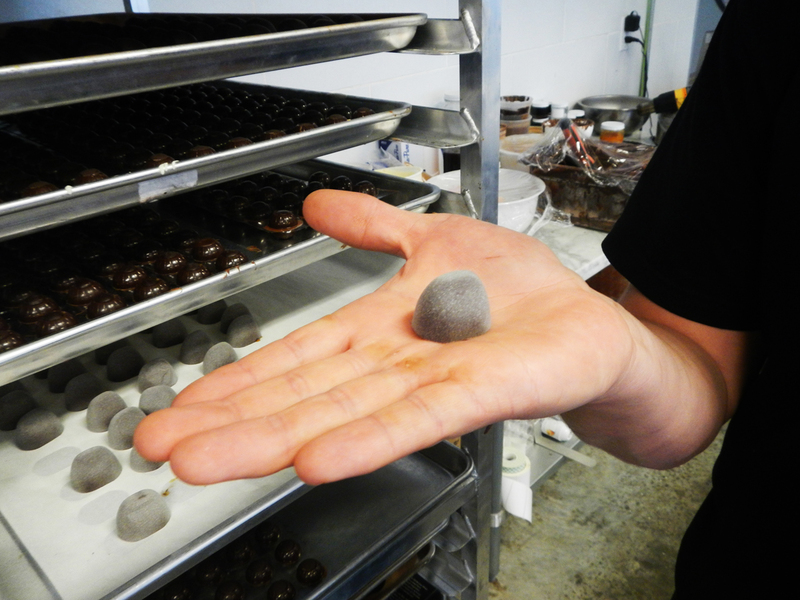 Their new chocolate studio in Tribeca was in the process of being built and years of hard work were coming to a head. But suddenly all those perfectly handmade chocolates melted into the maelstrom, there was no power, Hakan, his partner, and his wife pumped water for 7 days, but by the time the sea receded their new machines were ruined. Six weeks later mould started to grow out of the concrete foundations. Even though they had insurance for natural disasters and terrorist attacks their insurance company declared that their policy did not cover ‘water coming from the sea’. They were about to go under. Again. As it happened their partner’s place was the one place in the whole of the tip of Manhattan that still had electricity. So as soon as Sandy subsided, they started emailing FEMA. The chocolate studio was broken down and built again. The hands that had turned out such sensitive sweets were now wielding jackhammers and pouring concrete slabs. Dean and Deluca said they would hold their spot. Their credit card company agreed to hold off temporarily on their growing bill, agreeing that a delayed payment is better than a bankrupt void. But of course there was a time limit, and soon there was no more time. Just at that moment, appropriately on New Years Eve, FEMA came through. They were back in business. To hear the story, and to know that Hakan and his partner are in their early thirties, is a salute to their courage. One year after the storm they are making 10,000 pralines a month. That doesn’t count the skulls and the amazing chocolate mousse coconut combo we had with our coffee. By the year 2019 the plan is for 20 FIKA cafes in New York City. These Swedes are going global and good luck to them. Now I do not need any encouragement to eat chocolate. But when I tasted Hakan’s latest invention, a salted caramel made with real sea water, it was like eating poetry. If a storm was going to have a good outcome, this would have to be it. I just hope they call it ‘Sandy’…. This entry was posted in Food, Uncategorized and tagged FIKA NYC. Bookmark the permalink.